Hi guys!! So happy to be here with you today! Still playing a MAJOR game of catch up from the power outage earlier this week. We vowed to have this class up today and even though it is mega late we're happy to have pulled it off. Hooray! This past week and this weekend were a continuous stream of curve balls. Too much to go into here but trust me. Truly one of the most insane weeks EVER! I kid you not. * Note on this text. This lettering may look familiar to you. We fell in love with it a while back and wanted to doodle some in our journal but not without giving full credit to the amazing "The Notebook Doodles". She's got some of the greatest hand drawn doodles, often mistaken for actual fonts. We keep our Art Journaling decidedly loose. We try not to over think or over plan. But if there was a method behind the madness of this week's spread, I'd have to say it's "black & white". Sure, there's color, but the color is secondary. We wanted the majority of the spread to be stark white, and the focus to be on the doodling. And subject wise, we wanted to use these two photos from our road trip out to Minnesota for The Creative Connection. On the way back we stopped at Bleeding Heart Bakery in Chicago. The sweets were absolutely Deelish! and the bakery itself has a tattoo/punk rock esthetic. So we drew up this "life's short, dessert first" cupcake tattoo to go along with the theme. We love the faint color washes in this spread, and when you flip through our book these pages stand out...they appear to be pure white at a glance. So if we were to issue a prompt for you guys this week...I'd say you should try to make your pages mainly white with black and add color sparingly...possibly using only faint washes. For us color is a creative crutch...and stripping it away takes us out of that comfort zone. arrange papers on prepped pages. We applied a coat of gesso to prep these pages in our Moleskine. The gesso bolsters the pages and gave us the stark white base we wanted to work upon. As you can see, we didn't have too many papers to start with but we still had a specific idea as to where they'd appear on the pages. Pretty much bordering the top and bottom of each page so that the main of the page would be open white space. adhere papers, allow to dry, then seal. 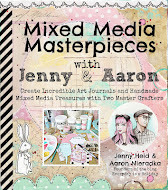 Using a decoupage medium adhere your papers. Brush medium onto page, lay papers down, smooth out wrinkles or bubbles, let dry...once dry then apply a sealer coat of the medium over the adhered papers. mix a gesso white wash. We wanted to mute our patterns a bit so we watered down some gesso for a white wash. Just mix a few drops of water to your little pool of gesso on your palette. Mixing just a little wash at a time is best. apply gesso wash. With a 3/4 inch round brush apply the wash over your already sealed patterned papers. Apply to your desired opacity. Only do a small area at a time because you need the wash area to stay wet so that you can dab it with a paper towel. dab wash. While the wash is still wet use a dry paper towel to dab it away to your desired effect. add some drips. Using the same speckle wash you can add drips. Just load your brush with the wash, hold brush above page, and squeeze the bristles with your fingers, wringing out little drips onto the page. Make sure to keep your book flat so the drips don't run. mix another color. Using multiple speckling colors gives you an even more haphazard, messy effect. And it's a great way to disperse little bits of color across your spread. add some large drips. Varying your drips give you a great effect. It looks way less planned out. To get bigger drips just load your brush with even more wash and squeeze above just one spot for a second or two longer. "run" the drips and speckle some more. Prior to this you made sure to keep your book flat so that the drips wouldn't run. But if you want the drips to run just carefully tilt your book until the color spreads out to the desired effect. Then let those drips dry a bit to set up and add another layer of smaller speckles. cut out your images. We printed our photos on photo paper and then cut them out. adhere images. Using decoupage medium, brush the medium onto your page, lay the photo down, press down with a paper towel, careful not to smudge your photo. adhere all images. Figure out where you want all of your photos and adhere them as described above. This will determine the rest of your layout. time for some paint rings. Paint rings made from bottle caps are a great messy accent to a spread that has polka dots...and using black paint gives you an inky effect. add rings. Simply brush some paint onto the rim of a bottle cap and press onto the page. Having half of the cap ring going off of the page gives you a great look. "distress" the edges. Simply rub paint on the edges of your pages. We call it distressing because it's similar to distressed edges of painted furniture. Only on furniture, the paint is rubbed off...but here, we're rubbing paint on. Use a paint brush or even your finger. washi tape time! Washi tape is an excellent and totally necessary detail to add. There are countless patterns and colors to choose from. Plus, we always run a strip of washi tape down the seam of the pages. It not only gives you a great transition line but it also makes the binding more sturdy and will keep your pages in the book. add bits and trim below photo. We sketched a scallop trim on some white paper, cut it out and adhered it below the photo, giving it a base. Then, to add extra texture we cut a small strip of sequin trim and glued that right over the scallop trim. speckle a new color. A page is always a work in progress...that is, until you say once and for all that you are done. But at this stage we looked at our spread and thought that one more color of speckling was needed. add a wash of color. Again, our spread is mainly white, but pale washes of color seem to make the white stand out even more. Just mix water and paint and then apply in areas where you'd like to see a bit of a glow. Dab with a paper towel to desired effect. wherever it feels right! And add more then one color wash. We made our washes very faint, dabbed off a lot of the color, but still, what's there gives the overall spread a nice glow. draw a border. Drawing a border like this takes absolutely no drawing talent. With a Sharpie marker just draw a zigzag scallop along the top of the page. paint it in. With a 3/4 inch brush just fill in your lines with black paint. Again, no painting talent is needed. Fool proof. grab your sharpie pen! This is the fun part. Now you get really hands on and let your fingers do the talking. Doodle time. add faux stitching. As you know by now, faux stitching is one of our fave details! draw some sketchy lines. We wanted some straight lines that would span across the entire spread so that we could write our notes upon these lines later. Again, the sketchier the better. repeat on second page. For continuity we drew the same lines on the opposing page. scribble and doodle some outlines. Draw scallop borders, scribble some outlines around your circles, tiny polka dot borders...there are no rules. add some gold stars. Get these little guys at any office supply or teacher supply store. Little gold merit stars add a fun glimmery pop to any spread. add some words. Make one bold statement in large letters. For ours we first sprayed a bit of watercolor paper with some blue green paint spray. We did this so that we'd have that speckly background for our letters. Then with a Sharpie pen write your words, cut out each word, and adhere each word to your pages. journal a bit. Use your sketchy lines to write on. Whatever personal notes you've got on your mind...or the descriptions that go with your photos. journal some more. Continue writing on your next page. We like to create separate pages but for those pages to carry a unifying theme. A great way to unify is with text. Hooray! You are done...but only if you say you are. Remember, Art Journaling is all about having fun with a work in progress! Teal Large Dot by Echo Park Paper co. Pink & White stripes on backside of Peony Tiny Dots by Echo Park Paper co. 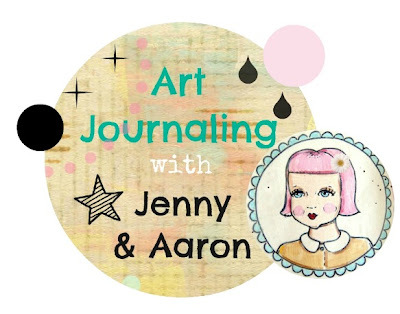 Thanks again for Art Journaling with us! This week was actually very therapeutic for us. Life was a bit chaotic this week...even more than the usual chaos...and it goes to show how a little bit of creative time can put you back on solid footing...even if for a moment or two. We hope with these classes that we can help you guys augment your creative processes a bit...give you more tools to work with...expand your palettes both literally and symbolically. Art Journaling has become a necessity in our creative lives and we hope it finds it's place in your hearts too. 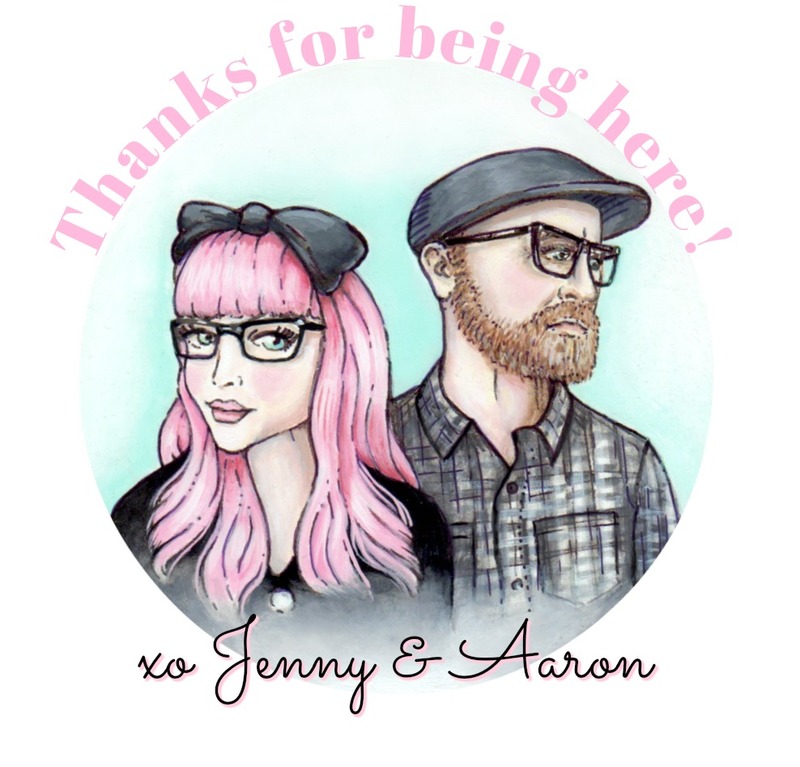 Please grab our button above to share on your blog and be sure to blog about your own Art Journaling and link up below. We can't wait to see your pages! Awesome pages!! I am IN LOVE with those doodle!!! Hope this week treats you both to some much need peace and harmony. gorgeous work! 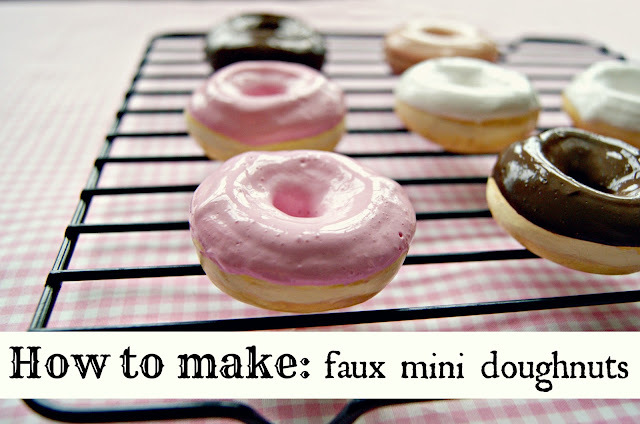 I`ll try this for sure! Oooh, I do like how this spread is very different (with the black and white, lots of pen), and yet it still very much fits with your normal style. As in, I'd recognize that you two made it immediately. My art journal is packed away in a box somewhere... but hopefully I can find it in time for the next class! And I already started this week's spread (again, if I can find it), but I would love to try a black and white focused spread for the next time!! P.S. I do have a question! With all of the reinforcing and adding papers on top of your moleskine pages... how do you make sure your journal isn't ridiculously fat? Do you sketch in between journal pages? I haven't managed to get gesso yet so I've mostly been reinforcing with scrapbook paper (or even the kraft paper was a bit fat)... so maybe that's the problem. But my journal already looks like it ate three other art journals! I'm afraid if I keep using the same methods, my moleskine will just burst... haha. Adore the doodles and the colors. Really beautiful pages. @Julie Tucker-wolek Thank you so so much!! Luv ya!! @Rochelle Thank you so much!! Happy to share! @wEI Thanks bunches!! Oh please share! Would love to see your pages! :) Thanks sp much for visiting! @Kelsea Echo, Yes, Moleskines tend to fatten up quite a bit. My main one that is nearly full looks like a phonebook. And with this kind of journaling, ending up with a big fat book is kinda a badge of honor. The reason why we always tape our inner bindings is to keep the pages from busting out. Also, there are these big thick decorative rubber bands made by the makers of Smash books, K & Company. I use a couple of these big rubberbands to keep my big fat journal closed. One rubberband is black & white striped and the other is aqua. Look at Michaels or AC Moore for the Smash book display and you'll find these rubberbands. They are perfect for closing your overweight journals. Again, just as you had to embrace your girly spread...embrace the chub. I know you are usually a very neat and orderly girl and the busting at the seams look might not be your style, but view your big fat books as accomplishments! @Tori Thank you so very much! It was a fun spread! Thank you so much for taking the time to visit, and for your kind words!